The thing to note is that the top 5 languages haven’t budged from their positions. 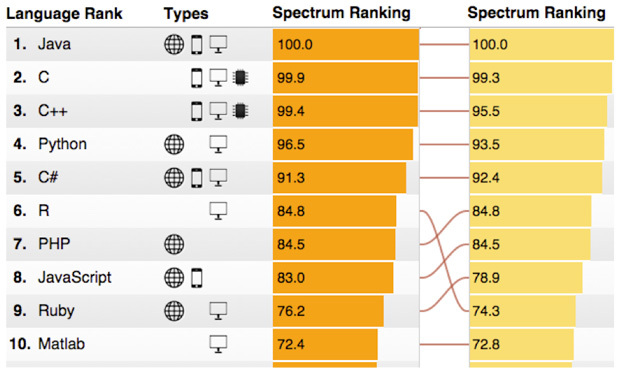 R has pushed past PHP, JavaScirpt and Ruby, which have maintained their relative positions. So this year’s rankings have been about R moving forward.